King's Appliances Granbury Texas Has The Appliances You Need To Fit Your Busy Life! Stop By Our Store & See Our Great Selection Of Quality, Top Brand Appliances! Choose from brand names like Whirlpool, Amana, Maytag, Electrolux, Frigidaire, LG & More. We Offer All The Top Quality Appliances You Need! Washers-Dryers-Refrigerators-Freezers-Ranges-Cooktops-Microwaves-Dishwashers & Disposals. We Also Carry A Great Selection Of Quality Mattresses! We Invite You To Come By And See How We Can Assist You! We Carry All The Top Brands Of Refrigerators And Freezers! Stop By And See Whats On Sale! What Are Your Dryer Needs? Small Family? Big Family? We Can Help You Choose The Right Dryer For Your Family! Washers Do Lots Of Hard Work! We Carry The Top Workhorse Brands To Get The Job Done Right! Stop By King's Outlet And See Our Great Selection! Dishwashers Save Us Lots Of Valuable Time That Is Usually Spent Doing More Important Things! We Have Many Great Dishwashers To Help You Save Time For The Things You Want To Do! Cooktops Are Stylish And Popular For Many Kitchen Designs. We Offer A Huge Selection Of Top Brand Cooktops To Match Your Favorite Kitchen Designs. What Is Your Favorite Style Of Range? Gas Or Electric? We Carry A Variety Of Name Brand Ranges To Give You The Best Deal And Best Selection In Town. When selecting a new microwave, it is important to understand the difference between different types of microwave ovens, as well as what they can do, in order to pick one that best suits your needs while still giving you value for money. We Carry A Great Selection! Since 1971, Corsicana Mattress Company has been exceeding retailers’ highest expectations. Everyone deserves a great night’s sleep at an exceptional value. 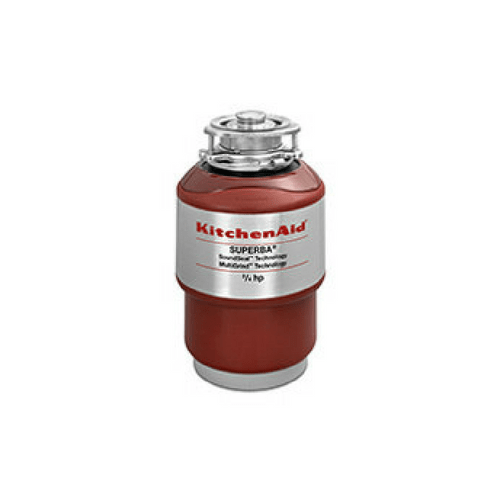 Garbage disposals make life -- and kitchen clean-up -- a whole lot easier. If your garbage disposal is underperforming or too loud, it could be time for a new one.